In today’s world majority of us don’t know what exactly we want from life, what is our interest and passion and what makes us happy. This is a very serious aspect which is addressed and showcased in Imtiaz Ali’s Tamasha. Constant struggle to be what you always want to be, to accept your dark desires and try and achieve them and to leave behind something which is well established is what Tamasha showcases. When I went to watch the movie Shandaar, in first 7-10 minutes I knew that we have a dud in offering. Almost the same thing I felt when Ramlila begins. Tamasha also starts in such a manner and you can see the entire cinema hall becoming restless. But somehow I had faith; a faith on one man called Imtiaz Ali. One reason why lot of people didn’t like Rockstar was manner in which Imtiaz Ali used the narration and shift between flashback and present. Tamasha takes you even further, it has layers of flashback and it has layers of present. It takes some doing initially to understand director’s manner of storytelling. Trust me this will be one of the reasons too why some will not like this movie as it’s complicated and complex. Ranbir Kapoor is Ved who meets Tara on an international holiday trip at Corsica. Both decide not to disclose their identities and continue to have fun together. In these scenes you will find lot of similarity coming from YJHD and Jab we met. The way they talk to each other, the way they entice and tempt each other resembles from earlier movies. The cinematography is simply mind blowing in this section of the movie and so are the songs. After coming back from the trip both move on in life without meeting each other. But even after 4 years Tara is unable to forget Ved and hence she decides to hunt for him. She finds him eventually and both are ecstatic and start spending time together. But much to Tara’s dismay, the Ved she meets here in city is entirely different person from the one she fell in love with. He is a typical corporate employee who lives a run of the mill kind of life and believe in doing things as per the books and perfectly. Now he is not that carefree and fun loving story teller she met at Corsica. And from here the movie starts to talk about the struggle and fight of dual personalities, what were the reasons for Ved having such dual shades of personality, Ved’s struggle to break free from a typical urban corporate lifestyle after meeting Tara and Tara’s patience and pain in seeing Ved’s fight back and struggle. Any movie with Deepika in it is bound to have a substantial role for the heroine but not this one. Tamasha is about Ved and his struggle to fight his dual personalities. I am sure when Ranbir would have read this script he would have realised the risk he was taking. And with two earlier failed experiments of Roy and Bombay Velvet, it takes a lot of courage to continue experimenting. Tamasha gives you same Ranbir that we left in Rockstar. He is intense, he is fun loving, he is passionate and he is pained. Deepika is ravishing in the first part and very powerful in the second part. Her expressions in the second part are a treat to watch. Unfortunately A.R.Rahman’s music is not as good as in Rockstar, however the background music is very powerful. The song Tum saath ho is melodious and is beautifully shot. Heer to badi sad and Safarnama are also good. Make no mistakes this is one complicated and complex movie and just like Rockstar some will like this and some will just not like it. Imtiaz Ali’s story telling is not too viewer friendly and he expects his audience to be a bit more intelligent and proactive. The chemistry of Deepika and Ranbir is fabulous. The second half of the movie is intense and a bit heavy. If only Imtiaz could have cut down the Corsica and some songs and got back straight to the point this would have been more gripping. Plus he totally missed showing the role of Tara during Ved’s fight back and how she was the sole reason behind it. Watch it for Imtiaz Ali, watch it for Deepika and you cannot miss it at any cost for Ranbir. And don’t feel bad if you don’t like it, sometimes it’s better to see something intense and meaningful than ride a Chennai Express or finding Prem Ratan Dhan. East, West, North, South! To see people from all at one place is a rare sight, but it happens at very few places. Jaipur has seen this blend of artists and craftsmen from all directional heads at the ongoing Dastkar Bazaar. Artists from all over India have been offered this common platform to showcase their artistic qualities and their craftsmanship. With Indians born with the skill of extensive crafts like paper, metal, wood, clay, fibre, textile, paintings, leather and various others, they have can create anything out of any material. At Dastkar, you can see tribal jewellery from Ladakh, pottery and furniture from Uttar Pradesh, glass work from Delhi, Kolapuri from Maharashtra, Kalighat paintings from West Bengal, filigree work from Odisha and as you keep naming the art and craft of every state, the list continues. It doesn’t end here, if you are looking for some herbal products, it has n number of herbal soaps, creams, oils. You may also find the all time favorite earthen terracotta pots, kulhads and lamps from our very own state of Rajasthan. The Dastkar Bazaar gives us insight into the many art forms of India. With the minimal entry fees you can also savor some specialties from every state at the food court. If you are a foodie, go try some Dabeli from the state of Gujarat, bhelpuri and sevpuri from Maharashtra, chat from Delhi and etc. If your tummy is craving and making a hungry sound, Dastkar Bazaar calls for a treat and enjoy this colorful sight. Visit the Dastkar Bazaar @ Urban Haat, Parshuram Dwara, Opp. Jal Mahal, Jaipur as it lasts till 29th November 2015. Rajshri Production’s last movie Vivaah was released in 2006. So when I heard they are coming up with another movie, I was anxiously waiting for it. A lot has changed in the last nine years. The audience, the way movies were made and also the tastes. I was wondering whether the audience today would appreciate movie with Rajshri brand that are generally clean, done decently and talks about values and relationship. 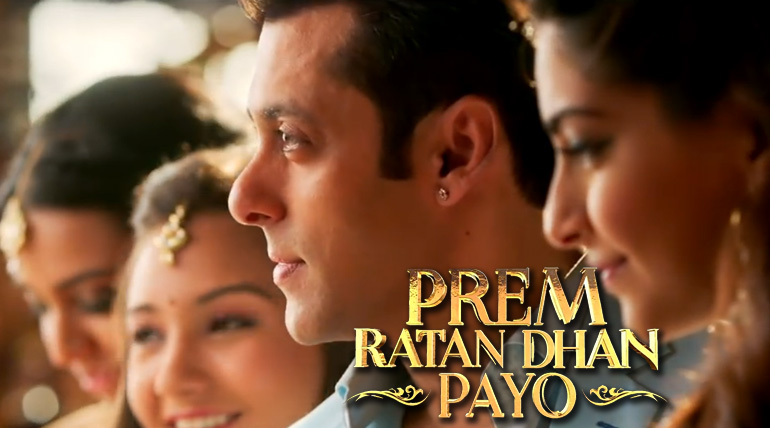 But I forgot….they also have PREM !! The movie is based on some royalty in a place called Preetamgarh where Salman Khan, as Vijay Singh is heir to be. Neil Mukesh (Ajay Singh) is his step brother who wants to kill him and Swara Bhaskar (Chandrika) and Aashika Bhatia (Radhika) are step sisters who are living in a huge villa type rented house. Anupam Kher is the old trusted Diwaan Sb. We also have Armaan Kohli with his flashy shades as CEO of estate and some dumb cleavage showing lady as secretary. And there is Sonam Kapoor as the Princess Maithelii of Devgarh who believes in flaunting her shades while taking lunch indoor. She also runs one NGO, uses a chopper to reach rescue site and also ends up giving fake smile to fake relief victims while trying to wear a saree at the calamity area. 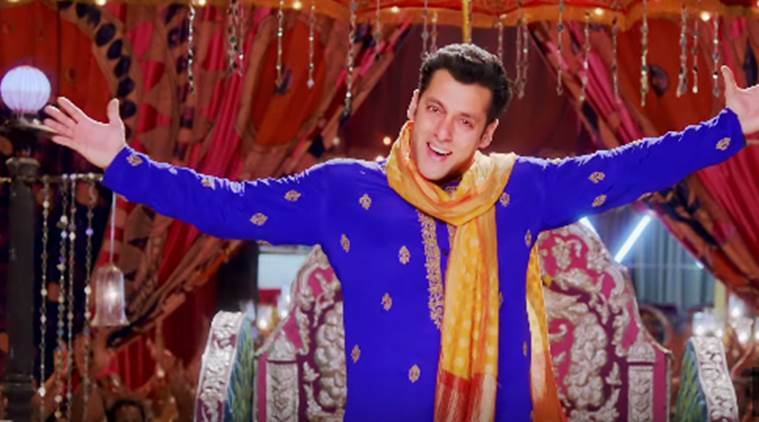 Now enters the second Salman Khan as Prem Dilwale from Ayodhya. He runs small Ramlila company and reminds you of Bajrangi Bhaijaan in his entry. He gives all his income to the charity run by Princess Maithelii. Being born and brought up in Rajasthan and having experienced and studied Rajasthani Royalty to the core, it was impossible to relate character of Vijay Singh as true royal or even Princess Maithelee. These are all made up characters unlike the character of Fawad Khan in the movie ‘Khoobsurat’, they failed to impress. Anyways the movie moves ahead and the lead character Prem starts to spill his magic in the lives of others. He brings love, removes hatred and also adds romance where it matters. He shaves his moustache, he ensure people play football in a royal ceremony and he dances and dances. And like all of the Rajshri movies all is well that ends well. Salman Khan looks fresh, lean and perfect for the role. When he speaks Gujrati you can’t help but remember Hum Dil De chuke. When he dances it reminds you of Bajrangi. But he looks very powerful as the Prince. 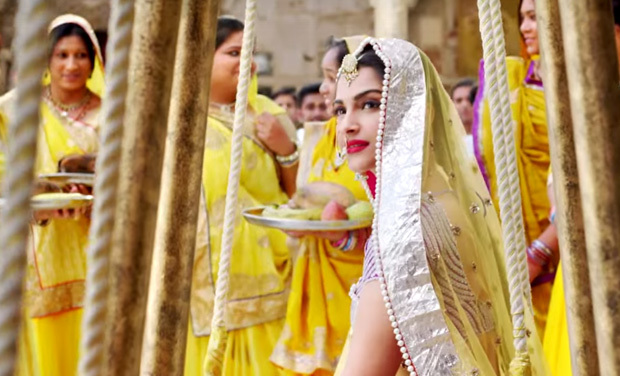 Sonam looks very pretty and plays her part well. She is quite weak in emotional scenes. Anupam Kher is wasted. Neil Nitin Mukesh looks good as a royal and is a surprise package. Swara Bhaskar gets few scenes to showcase how good she is. Armaan Kohli as the villain is bad, in fact very bad. Some of the songs are good. 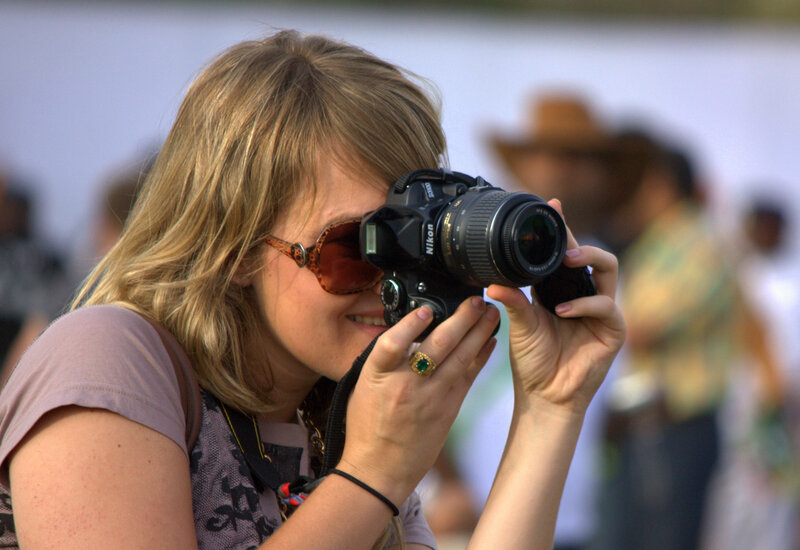 The camera work with large sets and gamut of colour pleases the eyes. The movie although is not a typical Rajshri movie with huge families, their musical functions etc but manages to talk about the trust and love in a relationship. The family values etc. 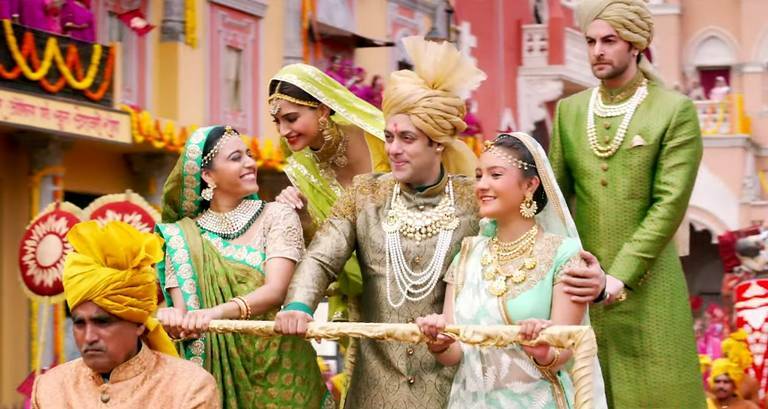 Watch it for Salman and his cheesy dialogues, watch it for some clean entertainment and watch it for the new Rajshri style of film making and finally watch it because it’s a festive season. Diwali is around the corner, and we are all excited, or are we? Not talking about the cleanliness freaks here :p, we all dread safai ! Cleaning cupboards, houses, and keeping the house spick and span all the time, can be quite a pain ! Diwali is the time when each and every soul needs to shop ! So where will they all unite? On the road. And hence, irritating unstoppable traffic. Diwali is one festival where you unmistakably catch up with all your friends and relatives. Call it Diwali Milan or the taash parties, this is the time to re bond and feel the joy of togetherness. Sweets, sweets and sweets :p You know you are going to have to put some extra effort after Diwali as it comes with the danger of putting on that extra weight ! From anaar to ladi to bomb, you simply love the thrill of playing with fire crackers ! Since electricity and power are used and exploited in abundance, the electricity department needs to save it somewhere ? So frequent power cuts ! !